Deadlift bars are a must-have for any serious powerlifting gym. Both Rogue and Texas manufacture high-quality deadlift bars, with many similarities that enhance the user experience as well as a few key differences. Bottom line up front, both the Rogue and Texas are worthy investments, and you can’t go wrong by offering either one on your platforms. The Rogue Deadlift Bar is 90.5 inches in length overall, with 15.5-inch sleeves. It comes in both bare steel and a bright zinc or black zinc finish. The bar evaluated for this review is bare steel. The 20kg bar has a shaft diameter of 27mm. The bar uses bushings rather than bearings and has an aggressive powerlifting knurling for enhanced grip. While the knurling pattern matches that of the famous Rogue Ohio Power Bar, it is noticeably more aggressive. The sleeves adhere with snap ring construction, rather than the lesser quality bolt-and-pin style used in many bars. Boasting 190k PSI tensile strength and flexibility, the Rogue deadlift bar is a competition-grade bar. The Texas Deadlift Bar is also 90.5 inches in length, adhering to most powerlifting federation standards. The sleeves are 17 inches in length. Like the Rogue Deadlift Bar, the Texas weighs in at 20kgs with a shaft diameter of 27mm. The bar uses brass bushings for optimal one-piece construction. The Texas Deadlift Bar has aggressive knurling and whip and is tested for 186k PSI tensile strength with no maximum load for powerlifting. The standard Texas Deadlift Bar comes with a black zinc finish, which is rust-resistant– the bar reviewed fits this standard. Like the Rogue bar, the Texas Deadlift Bar is a competition-grade bar. Flexibility and whip – a high-quality deadlift bar will offer more flexibility and whip than a standard power bar. This keeps the weight on the floor for longer, increasing momentum on the upward pull. In many cases, you won’t see the flexibility and whip until you reach higher weights. The greater the weight, the greater the flex. Aggressive knurling – knurling on a deadlift bar tends to have significantly more bite than a standard power bar. This is to counteract the gravity versus the lifter’s grip strength. Thinner shaft – a deadlift bar is typically thinner than a standard power bar. A standard power bar is 29mm in diameter, whereas most deadlift bars measure in at 27mm. While the difference seems minimal, the slight variation makes a significant difference in grip capabilities. Bar length – the deadlift bar is typically longer, which directly correlates to the thinner shaft diameter and enhanced whip and flexibility at the same 20kg weight. As previously mentioned, there are a lot of similarities between the Rogue and Texas deadlift bars, namely the enhanced level of flexibility, knurling, bar length, and shaft diameter. Having used both in training and competition scenarios, there is little difference in user experience between the two bars. Both are easy to load and offer a better deadlifting action when compared to a power bar or similar. Both Rogue and Texas package their bars to handle the ups and downs of the shipping process, and arrive securely fastened in hard cardboard tube, with additional cardboard, styrofoam, and plastic wrap inside to ensure that the bar doesn’t budge. If you’re planning on using the bar as soon as it arrives, you can pretty much guarantee that unwrapping it is going to be a sufficient warmup. Whenever you purchase a barbell, ensure that you inspect it carefully upon arrival and report any flaws or shipping damage immediately to fulfill your part of the purchasing agreement. 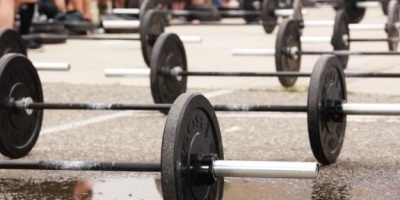 There are a few key differences between the Rogue and Texas deadlift bars. The most obvious between the two evaluated is the finish and durability of the bars. As mentioned before, the Rogue deadlift bar at Renfrew Strength and Conditioning Center is a bare steel bar in comparison to the Texas, which has a black zinc oxide treatment. The Rogue bar arrived at Renfrew about a year ahead of the Texas bar, and despite being used for less than five years, is already showing significant wear and tear in the form of rust. It’s worth noting that despite being in use for a year longer than the Texas bar, the Texas bar is the bar used the most on the platform and in competition scenarios. Even so, the Rogue bar is degrading much quicker. 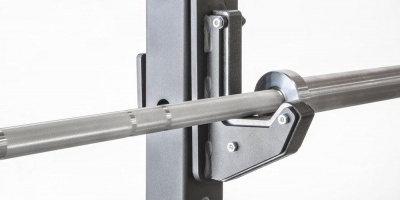 One variable to keep in mind before running out and buying a Texas bar is that this specific Rogue bar has a funny way of ending up in the squat rack when those unfamiliar with the various powerlifting bars are in the gym. The improper use could be one of the contributing factors to the degradation of the bar, rather than a direct reflection of quality. Rogue has long been a reputable manufacturer of barbells and plates. While both bars offer aggressive knurling for better grip, the Rogue bar has significantly more bite than the Texas. It would appear that where the Texas bar has more of a flat knurling pattern, the Rogue takes a diamond-shaped approach that really sinks in and builds beautiful callouses. Again, the Rogue perhaps has more bite due to a lack of finish, where the zinc oxide veneer on the Texas bar might counteract some of the sharp edges. In terms of which is better, it’s a personal preference. This powerlifter prefers the bite of the Rogue. If you want a bare steel bar, the Rogue is really the only option now. Many manufacturers are opting for finished bars due to the enhanced durability and longevity. There is a significant difference in cost between the bare steel Rogue bar and the zinc finished Rogue or Texas bar. For a bare steel Rogue Deadlift Bar, you can expect to pay upwards of $350. With a finished Rogue Deadlift Bar, you’ll pay around $400. 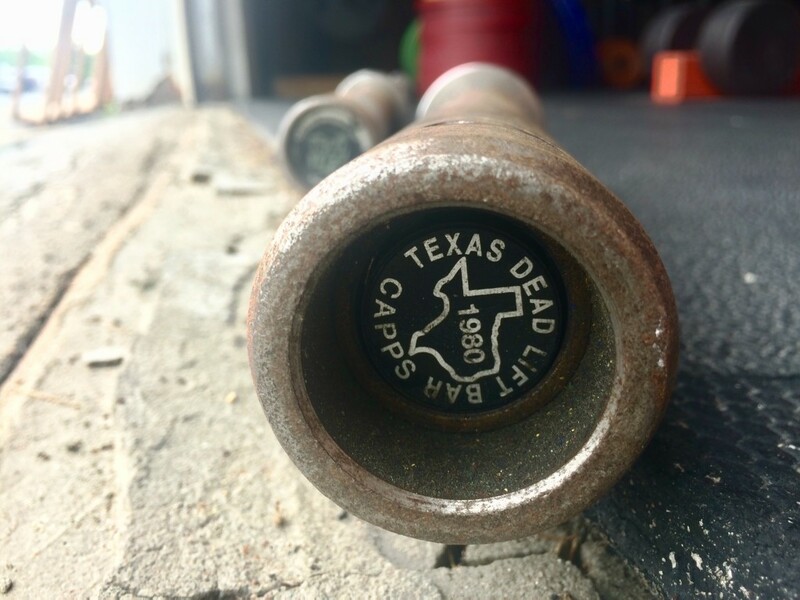 The Texas Deadlift Bar ranges from $400-450, depending on your supplier. While there is a notable difference in tensile strength, it has no overall impact on the deadlifting experience. Both bars are built to be fully loaded with plates of your choosing and the high-quality steel is pressure tested for max performance. When it comes to the Rogue Deadlift Bar and Texas Deadlift Bar, the similarities far outweigh the differences. Most powerlifters at Renfrew take the path of least resistance and use whichever bar is on the Rogue Deadlift Bar Jack when they approach the platform. The one recommendation to keep in mind when choosing a bar to purchase is to opt for a zinc finish rather than bare steel. Both the finished Rogue and the Texas bar are similar in cost, flexibility, and overall build. Both Rogue and Texas are the gold standard when it comes to manufacturing high-quality equipment. The general consensus at Renfrew is that the Texas deadlift bar is superior to the Rogue, as it offers a bit more flex and less bite as the weight increases. My recommendation is to try before you buy and invest in the bar that feels better coming off the ground. Alternatively, if you compete regularly, talk to the meet hosts in your area and see what type of bar they use so you can train accordingly. Cody Martin also did a review of his Rogue Deadlift Bar by itself. David Kiesling did a comparison of these two bars plus the lesser-known Okie. Tony Gentilcore has a great article on an alternative exercise, band-resisted kettlebell deadlifts.